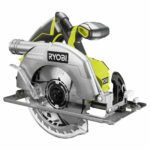 Ryobi now has another cordless 18V miter saw with the Ryobi 18V CORDLESS 216MM SLIDING MITRE SAW R18MS216-0 . 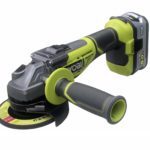 The new Ryobi 18V CORDLESS 216MM SLIDING MITRE SAW R18MS216-0 model was spotted in Europe by DrewBHAM and appears to be the second cordless miter saw by Ryobi that’s a sliding model. 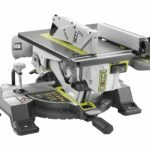 Unlike the USA spec cordless sliding miter saw, the Euro spec R18MS216-0 model uses a smaller 216mm blade which translates to about 8.5 inches which is still larger than traditional 7-1/4″ circular saw blades. Also unlike the USA spec model that is actually a 36V model that requires two 18V batteries, the Euro spec R18MS216-0 model is a true 18 volt model as it uses only one 18V battery at a time. Other features include a fixed right side mounted rail system. Since the rails are fixed meaning the motor and blade are the parts that move, this means that you can place the rear of the saw up to a wall without having to worry about banging into the wall when sliding. A laser is included to mark lines on the work piece. 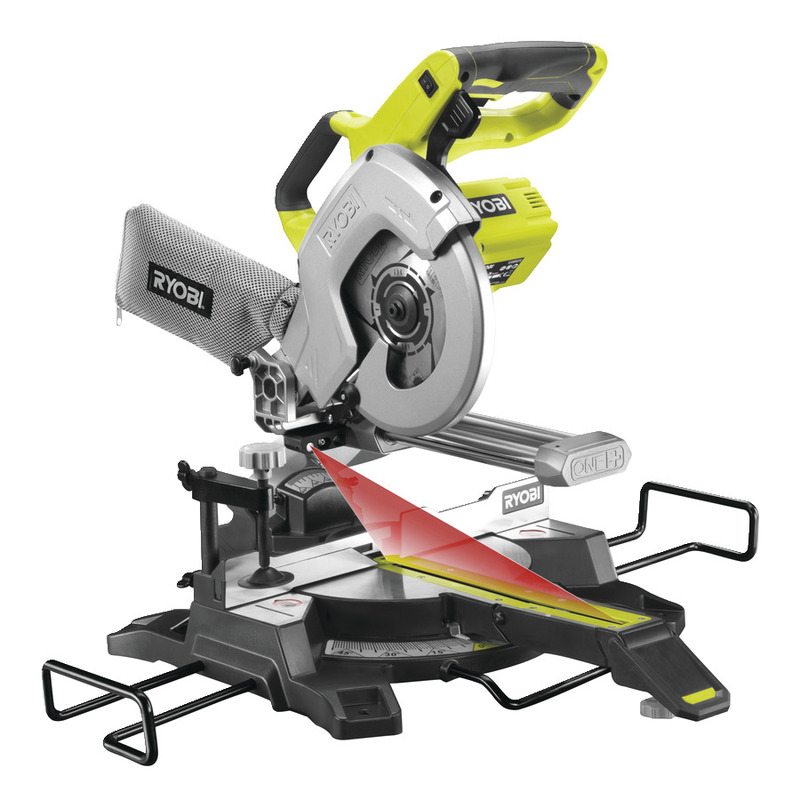 The saw has extensions on both sides and includes one material clamp. It appears the saw is a single bevel saw and only bevels to the left and can’t to the right since the rails are on the right side. Up 315 cuts can be made with a 5.0 ah battery which is very good runtime for not being brushless. I also noticed that Ryobi ditched the twist miter lock knob on this model for a cam lock handle. No word on if or when this will show up here in the USA but I’ll keep you guys posted if they do. 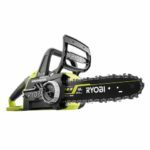 I just got rid of a kobalt mitersaw with a very short fence similar to this Ryobi. The short fences make the tool really dangerous. I can only guess these tools were designed by people who have never used them. unfortunately short fences are a side affect of smaller blades which provide only small vertical cut capacities. So, they *could* have made the fence 70mm tall. But they chose not to. From the photo, the fence on the left of the blade appears to be maybe 25mm tall. The left fence is shorter on its right side but it’s left edge is just as tall as the right fence. 70mm is 2.75 inches and they look to be about 2 inches tall.